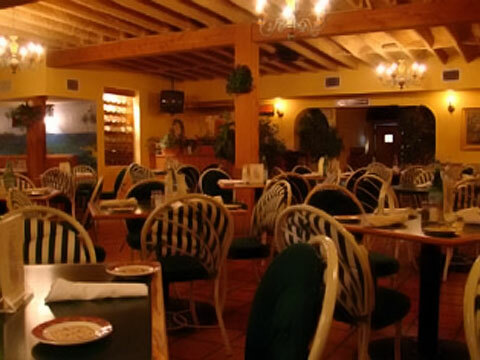 Welcome to CafÃ© Largo, an elegant, family-owned and operated Italian restaruant in the heart of Key Largo. We, the DiGiorgio family, personally invite you to come dine with us and enjoy our traditional Italian menu derived from centuries-old family recipes, our extensive wine list and our cutting edge, exotic liquor selection. Join us for a home-style Italian meal: from pasta and pizza to veal, seafood, "Certified Angus" steak, rack of lamb and the freshest of local seafood including Florida lobster and yellowtail, it's all available for your enjoyment at CafÃ© Largo. Your Chef (Robert DiGiorgio) also presents daily culinary specials for your de- light â€¦ and then there is our famous homemade sausage. The CafÃ©'s full beverage service and extensive wine list (showcasing an impressive selection from around the world) serve as ideal compliments your meal. CafÃ© Largo's is also available for hosting parties and events in it's luxurious, semi-private banquet room. Contact the Chef directly to discuss the details of your special affair! The DiGiorgio family has been in South Florida since 1960. 3rd generation Robert DiGiorgio operates both facilities with his father, Pasquale (Pat). Since CafÃ© Largo's grand opening in 1992, the family has developed a reputation for serving some of the finest Italian food in the Upper Keys, made from only the finest ingredients. This dedication to quality is a direct result of restaurant's commitment to remaining a hands-on, family-run operation. Just miles from the Ocean Reef Reef Club in the heart of Key Largo, we are pleased that our our Canadian, Californian, European, South American friends can now access our menu via the internet. Welcome to CafÃ© Largo!